What's a health condition that 8 out of 10 of us will experience at least once? If you guessed back pain, you're onto something. Just because this condition is so common doesn't mean you have to let it impact your life. Our Olathe chiropractor at Complete Care Chiropractic, Dr. Morton, works with people of all ages and lifestyles looking for relief from their back pain. These conditions are more likely to develop in the presence of certain factors, including age (especially age 30-50), trauma (e.g., auto accident or sports injury), excessive sitting, obesity, smoking, and stress. Working with a chiropractor to manage your back pain and related symptoms offers a host of benefits. Our services are hands on, gentle, holistic, drug-free and non-invasive, so you'll be spared from harmful side effects and prolonged downtime. Such services—like chiropractic adjustments, acupuncture, and cold laser therapy—reduce inflammation, relieve pain, speed the rate of tissue healing and cellular repair, improve core strength, and restore normal mobility and flexibility. We can even detect and address hidden factors, like postural imbalances and minor joint misalignments, which may be worsening or prolonging your back pain. 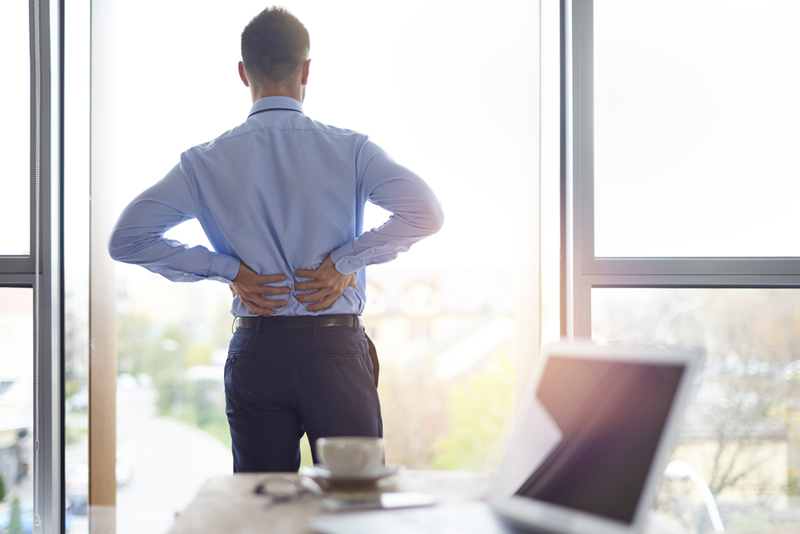 Working with a chiropractor can drastically reduce your risk of chronic back pain symptoms as well as reduce the risk that you'll need future surgery. Our chiropractor is highly skilled in educating patients on ways to prevent recurring issues thanks to their insights on posture, ergonomics, and lifestyle and nutritional choices which can reduce strain on the low back and facilitate whole body wellness. Contact us at Complete Care Chiropractic today to schedule an appointment with our chiropractor in Olathe, KS for back pain relief. Call us at 913-815-8076.